At TENA, we want to help young women manage little leaks and stay fresh and feminine. With 1 in 3 women over 35 experiencing little leaks, there is an opportunity for you to help them stay fresh and feminine. 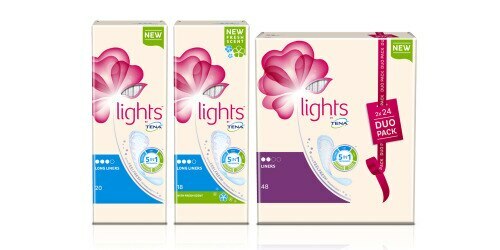 That’s why we have upgraded lights by TENA products and pack design, to meet women’s needs for discretion and femininity. The innovative products, now in a new attractive packaging, offer superior protection and everyday freshness. A wide range of shapes and sizes for every little leak. Now with breathable side panels and a new print design, our range of liners will keep young women fresh and protected. 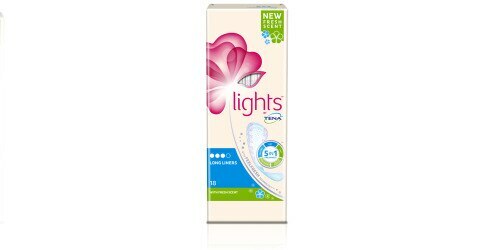 For increased freshness, we are expanding the range with a new long liner with a fresh scent, specially developed for lights by TENA. 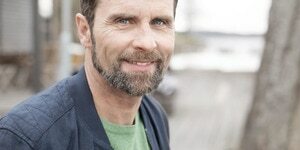 Learn more about how the new lights by TENA can improve the lives of young women with little leaks. 2Bellissima Clothesline UK & GE, Product pairwise test, n=426.